All rights belong to Internet magazine «Znak». 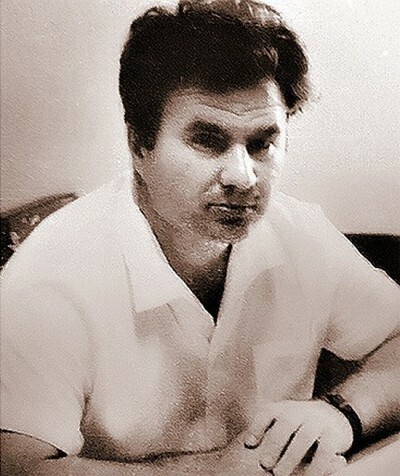 Author Igor Pushkarev. With the approval of the Prosecutor General of the Russian Federation Yuri Chayka, the prosecutor's office of the Sverdlovsk region initiated a new inspection of the 60-year-old investigative materials on the mysterious death of a group of nine hikers under the guidance of a fifth-year Ural Federal University student Igor Dyatlov, which occurred, presumably, on the night of February 2 1959 in the area of ​​Mount Kholat Syakhl, or the Mountain of the Dead, in the Northern Urals. 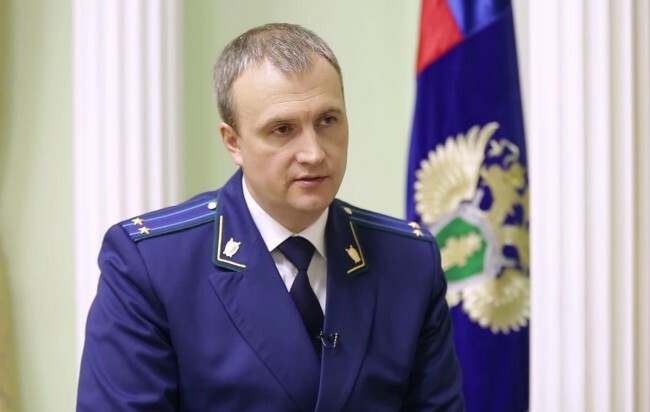 About this on the TV channel of the Prosecutor General's Office of the Russian Federation a few minutes ago, said the head of the department for monitoring compliance with the federal legislation of the Prosecutor's Office of the Sverdlovsk region Andrey Kuryakov. 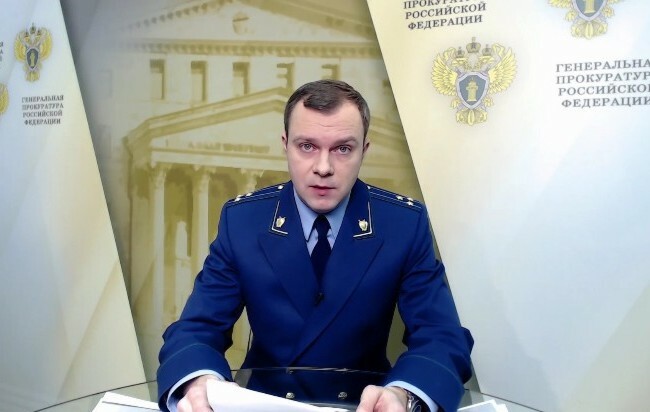 The press secretary of the Prosecutor General’s Office of the Russian Federation, Aleksander Kurennoy, delivered a big opening speech. According to him, the investigation began in September 2018. “A criminal case has already been analyzed, this is more than 400 pages, and many examinations have been carried out,” said Kurennoy. In the second decade of March, employees of the Prosecutor General of the Russian Federation, according to him, intend to fly to the scene, where, together with experts in the field of geodesy, cartography and geology, they will conduct the necessary research. As he stated, the goal of the investigation is to leave only one of the 75 existing versions of the death of the group. All versions of the death of the Dyatlov group, which the prosecutor's office will check, are related to natural phenomena. Criminal version office excludes immediately. As far as we know, the task is to double-check versions of natural factors that could lead to Dyatlov group death, including the avalanche theory, and answer the question: were the bodies staged after death? Finally, at the end, the staff of the supervisory authority intend to conduct a special forensic medical examination, which “will have to establish the causes of the injuries found on the bodies of the victims”. “Why do it now? Both relatives, the press and public activists appeal to the prosecutors to establish the truth. They do not hide the suspicion that then the law enforcement agencies have hidden something. This, by the way, gives rise to many versions of what happened. At the moment, their number reaches 75. There is even quite odious, like an alien intervention”, stressed Kurennoy. He also noted that at the moment, after analyzing the available materials, the prosecutor’s office considers three versions to be priority: “All of them are connected to natural phenomena, crime is completely excluded: those are an avalanche, the so-called snowslab and a hurricane. Winds of sufficient strength are common for this area,”said Kurennoy. As Andrey Kuryakov added later, the reason why the prosecutor’s office decided to tackle this topic 60 years later is as follows: hikers went to the pass under the direction from the state organization (UPI sports clubs), the route was approved by government employees, therefore, on behalf of the state "we need to find out what happened on the pass”, said Kuryakov. In particular we will check the competence of the investigators who conducted the case, the tourism specialists, who endorsed the group's campaign and then investigated the causes of death. “Before our verification, the investigation of this tragedy took place in two directions. The first direction is the professional investigation of the investigator under the Code of Criminal Procedure of the RSFSR. The goal - to establish foul play. After three months of the investigation it was established that there were no intentional actions by third parties in this case, and the criminal case was discontinued. This criminal case was repeatedly verified by the prosecution authorities, and it was concluded that there was enough evidence to answer this question about the murder. The second direction is non-professional amateur activities of private researchers and specialists in certain areas, for example, in the field of tourism or medicine, who, drawing on the knowledge in their field, made broad conclusions about what happened. Accordingly, this path and spawned 75 versions. In addition, we have appeals from relatives of the victims. They have the right to know the cause of death. Until we put an end, such circumstances can still be repeated. If we say what happened, then it will be possible to correct even the rules of behavior on such slopes, ”added Kuriakov. In addition, the Prosecutor General’s Office of the Russian Federation decided to take up this case, because for this agency there is no concept of "statute of limitations". Also, the press secretary of the Sverdlovsk Region Prosecutor’s Office, Marina Kanatova, reported that on February 4, at 12:00, representatives of the supervisory authority would hold a big press conference at the Yekaterinburg House of Journalists, where they would demonstrate a number of archival materials related to this case and tell more about those studies. and examinations, which are planned to be held as part of the ongoing verification of investigative materials. They will also express their opinion on the versions of the death of the Dyatlov group. Note that on February 2, 2019, the annual conference in memory of the group of Igor Dyatlov will take place in the main building of the Ural Federal University on Mira Street. The co-organizer of this event, the chairman of the Public Foundation for the Memory of Dyatlov group, Yuri Kuntsevich, in an interview with Znak.com, made it clear that at the conference they intend to present new documents to the public, turning around all previous conceptions about this tragedy. In particular, we are talking about the archive of the former investigator of the Ivdel prosecutor’s office, Vladimir Korotaev, who was recently discovered by the writer Oleg Arhipov. 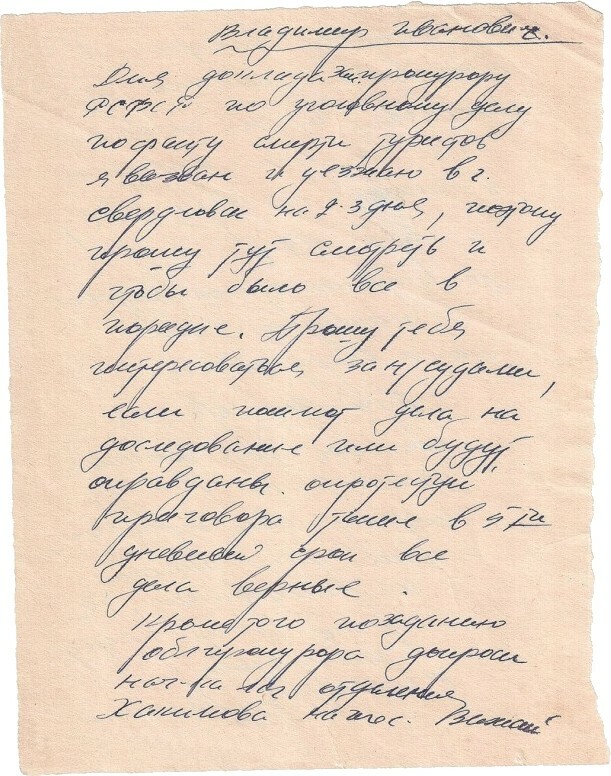 In this archive, for example, a note was found from the then prosecutor Ivdel Vasiliy Tempalov, Korotaev was his subordinate. The document is dated February 15, 1959, and it follows from it that the supervisory authority already knew about the death of a group of hikers under the leadership of a certain Dyatlov in the north of the region. This is despite the fact that the search party found the tent of the deceased group only on February 26, and searched for the bodies of the participants on the mountain slopes until May 1959. According to Kuntsevich, the documents and evidence found suggest that the group died during the testing of new missile systems. “It happened 1.5 kilometers from the place where they were later found. They were simply cut out of the tent and moved to where they were later found,” Kuntsevich added. He did not disclose all the details, inviting everyone to the conference in Ural Federal University. 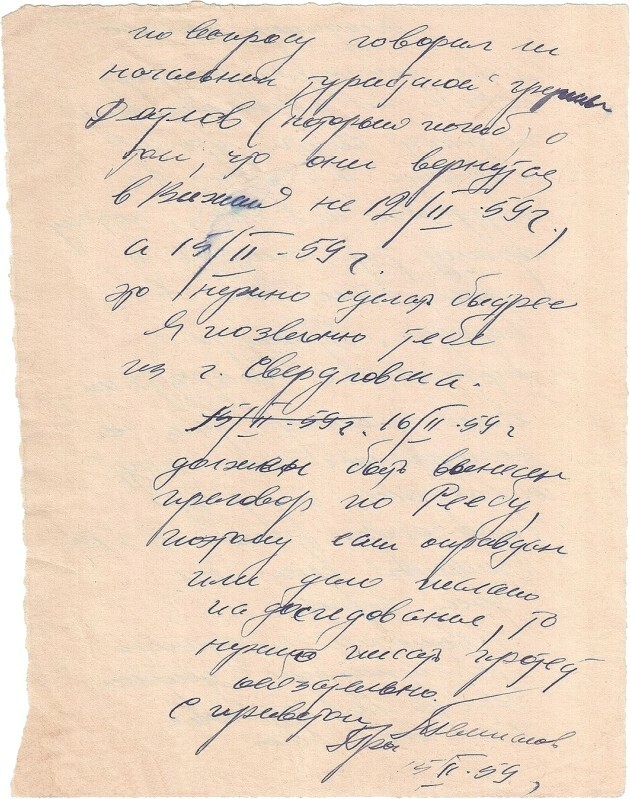 Interestingly, the prosecutor's office has already analyzed this note Tempalov. This part Kuryakov today touched on the release of the TV channel "Efir". Judging by his words, the data that in Ivdel were aware of the death of the Dyatlov group two weeks before the search engines found the bodies is still not true. I am called to report to the deputy prosecutor of the RSFSR (Leonid Ivanovich Urakov - ed. note) in the criminal case of the death of the hikers, and I will be in Sverdlovsk for 2-3 days, so I ask you to look and see that everything is in order. Please take care of the people court claims, If you send cases for further investigation or acquittal, appeal against the verdict also in a 5-day period. All cases are true. whether the leader of the hikers group (who died) said that they will return to Vizhay not on 12.II. 59 but 15.II.59. This needs to be done faster. I'll call you from Sverdlovsk. 15.II.59 16.II.59. When Reeba is sentenced, if acquitted or the case is sent for further investigation, you must file a contest. Greetings Procecutor Tempalov. 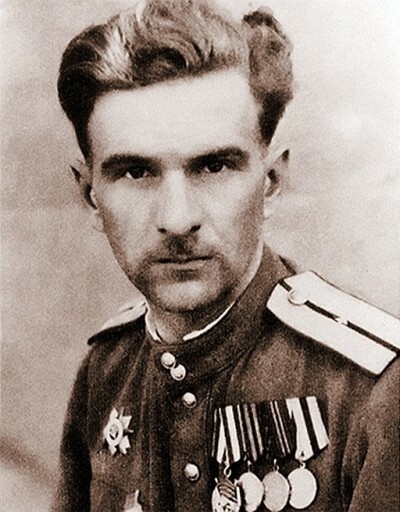 Oleg Nikolaevich Arhipov, author of a monograph on forensic experts in the Dyatlov case, claims to have found a memo dating 15.II.1959 which testifies of the fact that Vladimir Ivanovich Korotaev, the first investigator of Dyatlov case was in cahoots with Vasiliy Ivanovich Tempalov, the Prosecutor in the criminal case to cover the fact that they knew of the death of the students (15.II.1959) before they were found (27.II.1959). Komsomolskaya Pavda article goes further on about the authenticity of the note and if there could be a typo - the month of march III to have been misspelled as II. When this article was published we didn't know what we know now, continue reading below. We know that the case is dating 6.II. because the same typo allegedly occur on Vasiliy Popov's testimony. This date breaks the course of events since the case was officially filed on February 26. It turns out that local prosecutors knew in advance about the death of the group. To answer this question, it was necessary to establish the exact date of the sentence for that same citizen Reeb. And it still installed. The Ural prosecutors found a document stating that the criminal case was charged against Reeba A. I. sent to court on April 2, 1959, reviewed by a court on April 16, 1959. It turns out all the same Tempalov made a mistake, and more than once, in writing the date, instead of the number IV, he put II. But why was he wrong? According to the medical and psychological research conducted at the request of the prosecutor's office of the Sverdlovsk region, the errors in the spelling of dates are explained by motility - perseverations, unreasonable and repeated sticking, repeating the same motor action, and dominant thinking. In other words, Vasily Tempalov wrote a note, thinking about the February events related to the death of hikers, and put February automatically instead of April. This is testimony says that Tempalov was questioned as a witness on Dyatlov case in Ivdel. It is dated 18 April. It all checks out.